From the author of the bestselling and beloved Magic Tree House series comes a brand-new edition of the lovely, lyrical bedtime story, 25 years after its original publication. 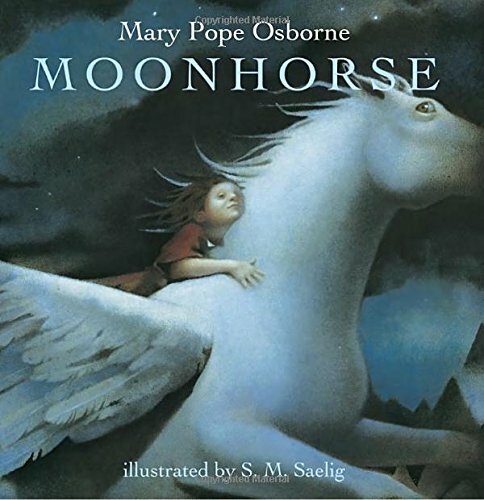 Out of the night, the winged Moonhorse appears, and a young girl slips away from her sleeping father to join him. Together they ride past stars and night shadows, constellations and comets, as they pull the moon across the clear night sky. Moonhorse is a luminously illustrated bedtime fantasy that opens the door to the world of dreams and myths in an enchanting way. About David McPhail (Author) : David McPhail is a published author and an illustrator of children's books. Some of the published credits of David McPhail include Mole Music.